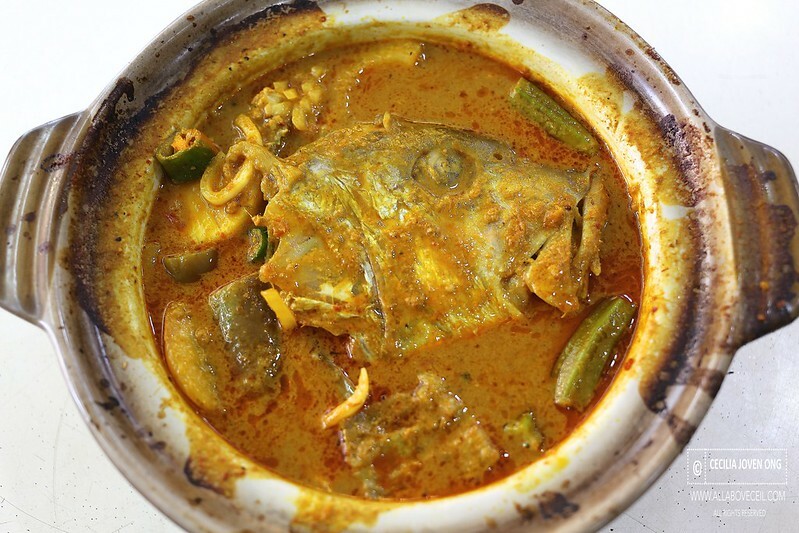 I have always been a big fan of Curry Fish Head and i have heard so much of this particular one. 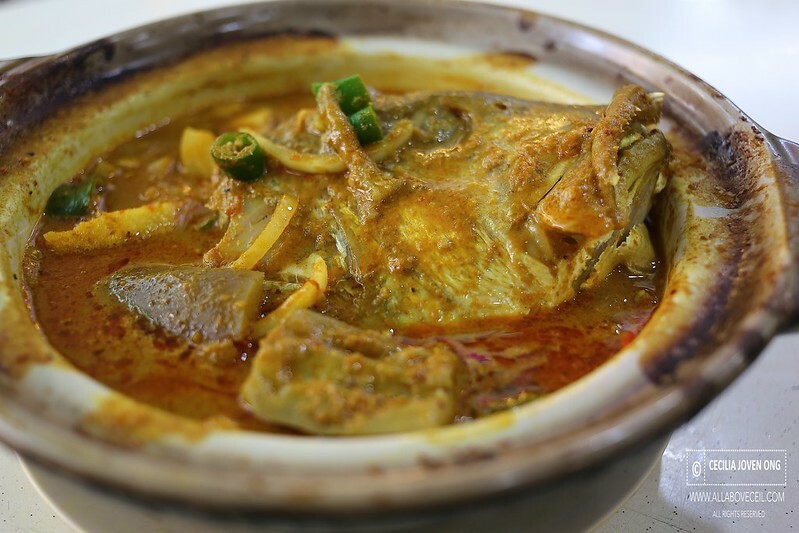 This has to be one of the most famous Curry Fish Head in Singapore and they have been around since the 80s. They started at a coffee shop at Geylang Lorong 35 then to Toa Payoh Lorong 8 before moving to the current location about 4 years ago. I was there on a Saturday at about 5.30 pm, the place was already quite crowded then and it took quite a bit of effort to find a table for 2. We ordered quickly the very moment when we found a table and seated down. 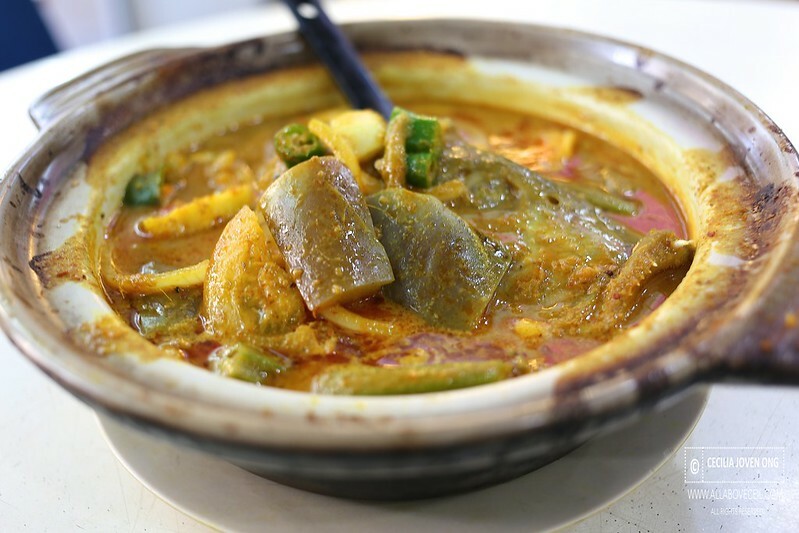 We were asked whether we want other dishes from the mixed vegetable rice section to go with the Curry Fish Head. 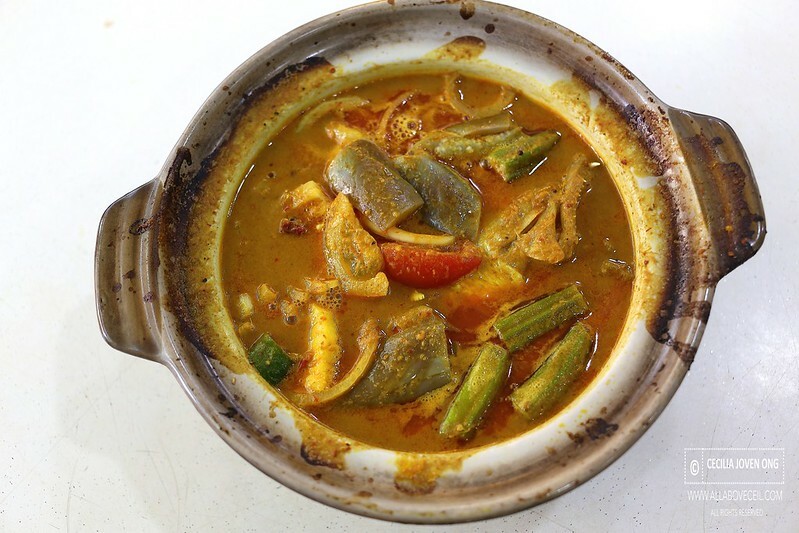 A portion of Curry Fish Head is priced at $25 exclude GST. We waited for about 10 minutes for it to be served. The 2 plates of rice steamed came first followed by the Curry Fish Head quickly. The Fish Head was of an average sized. It tasted very fresh with not a bit of fishy taste detected. The taste of Curry was a bit too sourish with a rather mild level of spiciness based on a Nonya recipe with a bit of Indian influence. It tasted rather unique and rather different from some of those out there. 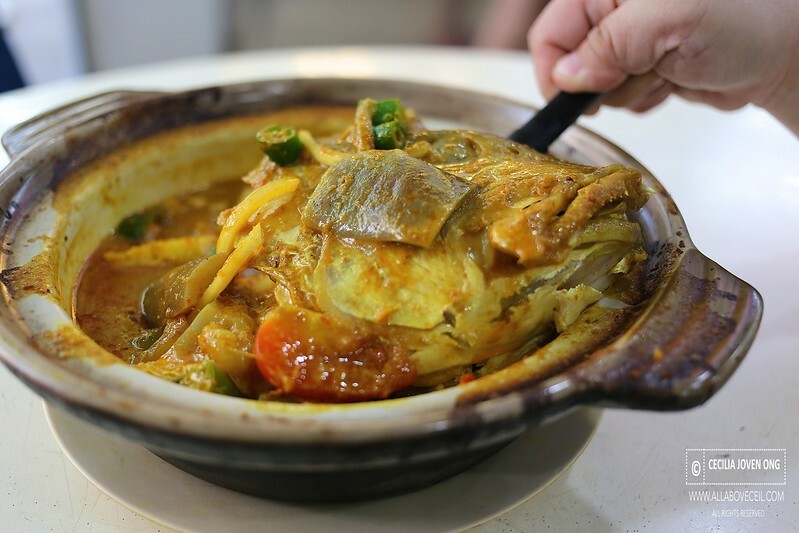 The Fish Head was cooked in the Curry to absorb the flavor as compared to some of those that steamed the Fish Head first then added in the Curry later. 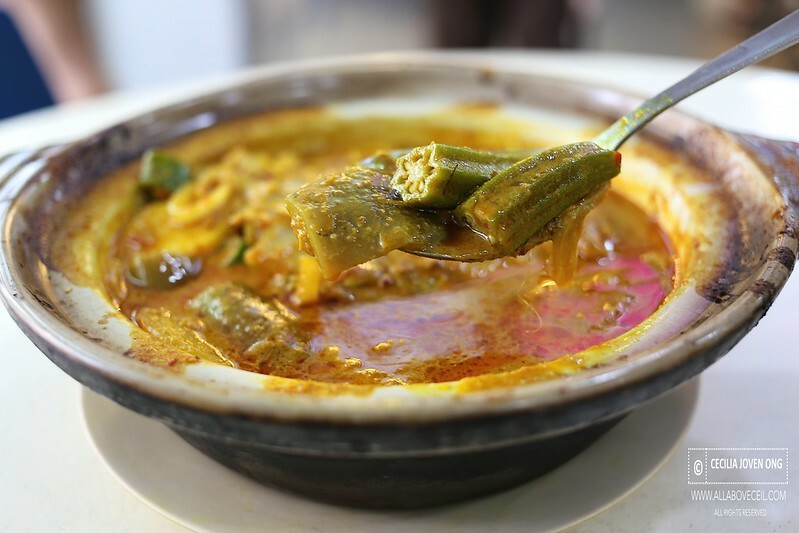 The Curry Fish Head was served with pieces of brinja, ladyfinger, pineapple and green cut chilli in it. 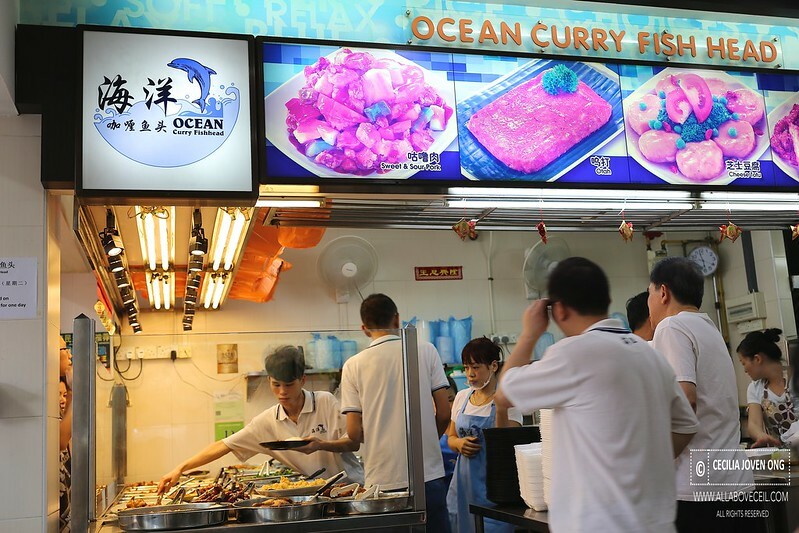 Maybe, it would be a good alternative if fried beancurd skin and cabbage are added too, just like the famous Curry Fish Head in Johor Bahru at Malaysia. It was an enjoyable dish overall though a little pricey but the freshness of the Curry Fish Head was worth the value. I did not eat enough Fish Head in Singapore to know whether this is indeed the best Curry Fish Head around though some claimed to be so.